The Fair Deal Coalition is pleased to announce it has bolstered its ranks, with several new international members having joined – the Australian Digital Alliance, the Open Source Industry of Australia, ONG Derechos Digitales and Consumer International. 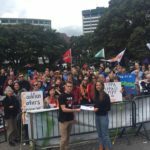 Dedicated to keeping the Trans Pacific Partnership (TPP) from changing New Zealand’s copyright laws, the Fair Deal Coalition is set for a flurry of activity this week as the 15th round of TPP negotiations get underway in Auckland. 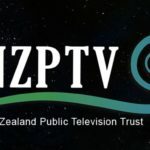 Fair Deal spokesperson Susan Chalmers says the TPP – a trade agreement being negotiated by New Zealand, the United States and nine other countries – could force changes to New Zealand’s copyright law that do not serve the country’s best interests. “The Fair Deal coalition unites a diverse group domestic and international allies under one banner. 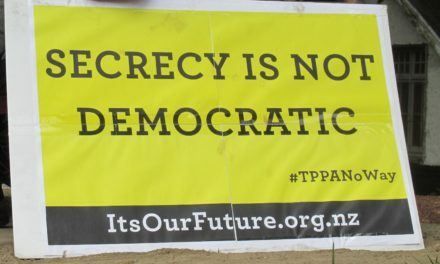 We want to draw public attention to how the TPP might actually cost New Zealand by erecting barriers to trade”. Launched in July, Fair Deal members represent librarians, IT companies, open source societies, telecommunications users, the Internet community, digital rights activists, people who are blind or have low vision, artists, consumers and schools and universities. Francisco Vera Hott from ONG Derechos Digitales notes that aspects of the TPP could affect the exercise of basic human rights in the online environment. This might include access to knowledge, privacy and freedom of expression, along with restraining innovation and development in most of the negotiation parties. Jeremy Malcom from Consumer International agrees, saying that the Fair Deal Coalition is playing an important role in shedding light on the negotiations, and speaking up for the rights of ordinary consumers. Malcolm says free trade and competition can be good for consumers, but only if people’s rights are respected and their voices are heard. “This has been forgotten in the Trans-Pacific Partnership negotiations, where a ‘free trade at all costs’ mentality too often prevails. “Participating countries are being asked to sacrifice their national sovereignty in important areas like access to knowledge online. Worst of all, these sacrifices are being negotiated behind closed doors, in the knowledge that the public would never accept them if they knew what was going on,” says Malcolm. 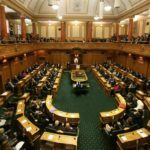 Ellen Broad from the Australian Digital Alliance says New Zealand and Australia stand to be similarly affected by the probable outcome of TPP negotiations. The Fair Deal Coalition articulates concerns and principles for an innovative, open Internet shared by the Australian Digital Alliance, she says. To find out more about the Fair Deal Coalition and the Trans Pacific Partnership, visit www.fairdeal.net.nz. Members of the public are also invited to attend a free public event on December 8, from 6 to 8pm at Auckland’s Toto Restaurant. The event will mix the work of New Zealand artists with short talks by local and international Fair Deal speakers.